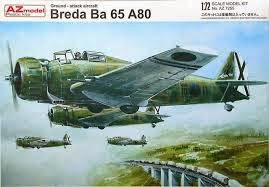 Breda Ba.65 on italialainen maataistelukone. Konetyyppi osallistui Espanjan sisällissotaan. Toisen maailmansodan aikana Ba.65 osoittautui vanhentuneeksi, ja sen käyttö jäi melko vähäiseksi. Omana kehityskautenaan 1930-luvun puolivälissä kone oli vielä moderni, mutta myöhemmissä sotatoimissa se ei ollut enää kovinkaan taistelukelpoinen. Ensimmäisten koneiden moottorit olivat Isotta-Fraschinin valmistamia 700 hv tehoisia Gnome-Rhône K14 -tyyppisiä, lisenssillä tehtyjä tähtimoottoreita. 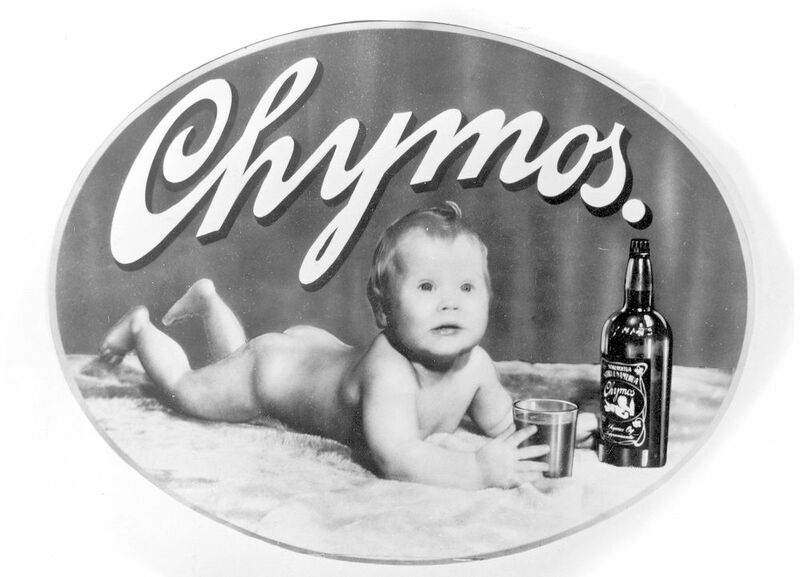 Myöhemmässä valmistussarjassa olivat tehokkaammat Fiatin valmistamat A.80 RC.41 -moottorit. 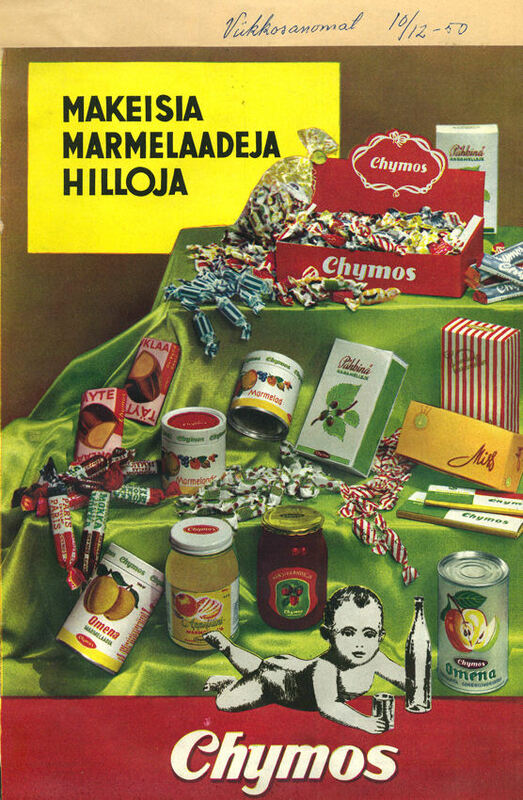 Niiden teho oli tuhat hevosvoimaa. Konemuunnoksia oli kahta eri päävarianttia. 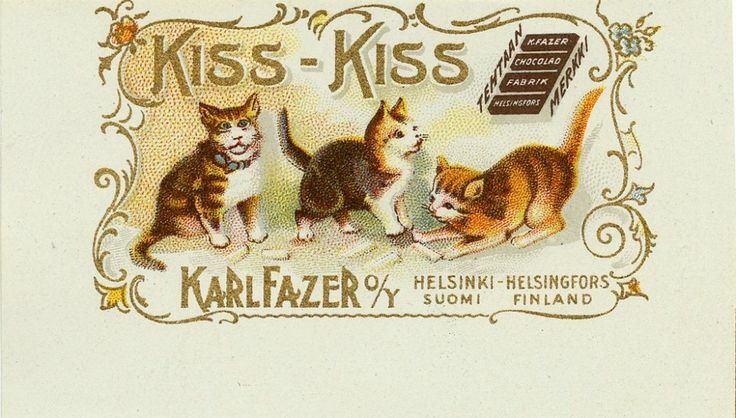 Toisessa miehistöön kuului yksi ja toisessa kaksi henkilöä. Yksipaikkainen oli nopeampi (430 km/h) ja kaksipaikkainen hitaampi (410 km/h). Myöskin taka-ampumon tekemä lisäpaino hidasti konetta. Breda Ba.65:n pääaseistuksena oli kolme kiinteästi eteenpäin ampuvaa konekivääriä. Sisäisessä pommikuilussa saatettiin kuljettaa 300 kg ja koneen ulkoisissa ripustimissa 200 kg pommeja. 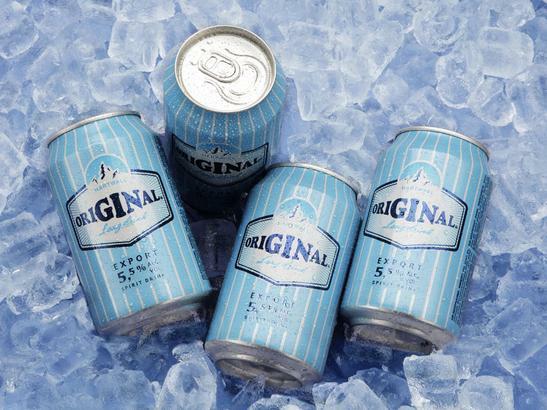 Teoreettinen maksimi pommikuorma oli tuhat kilogrammaa. Kaksipaikkaisen koneen peräampumossa oli liikuteltava kevyt konekivääri. Konetyyppiä valmistettiin vuosien 1935-1939 aikana 218 yksilöä. 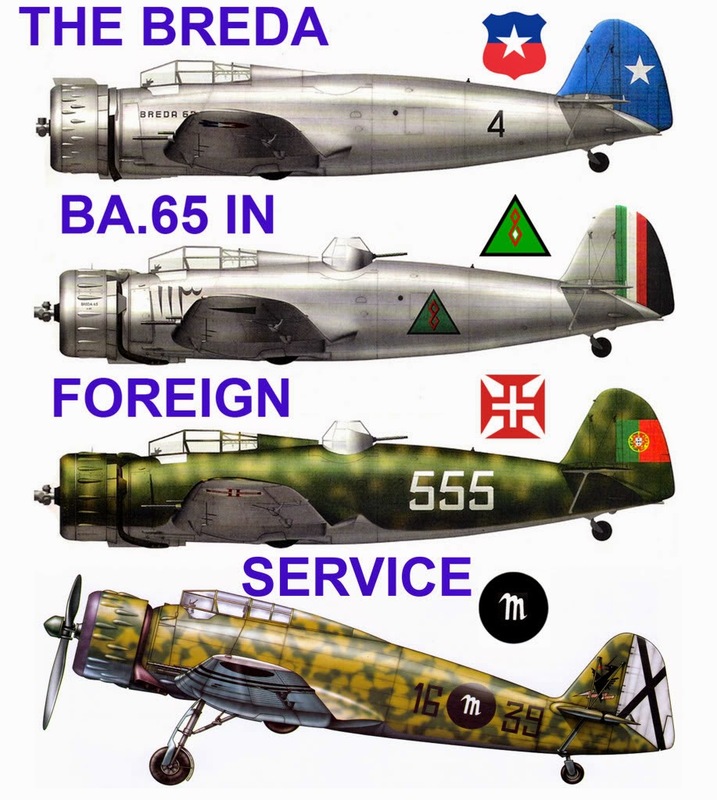 Breda Ba.65 oli käytössä Regia Aeronautican ja Espanjan ohella Chilessä, Irakissa, Paraguayssa ja Portugalissa. 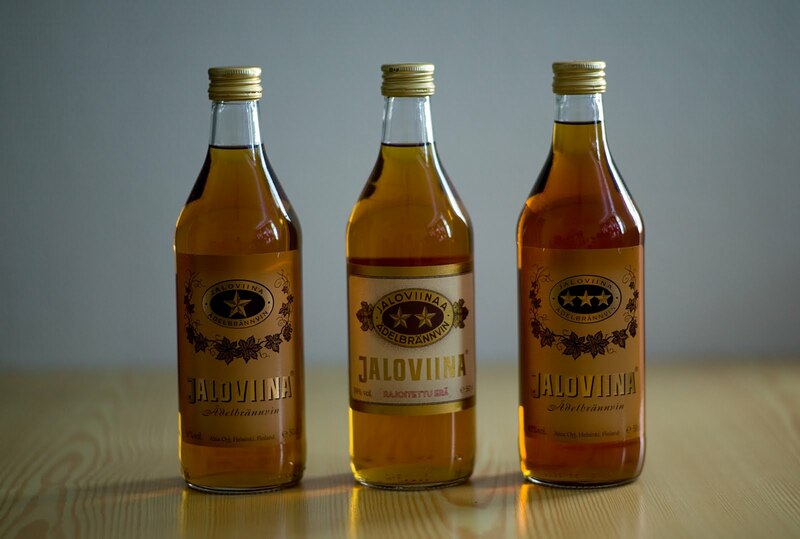 Valmistajia olivat Breda ja Caproni. Italian Regia Aeronautica poisti omat Ba.65-koneensa ensilinjan käytöstä vuonna 1941. 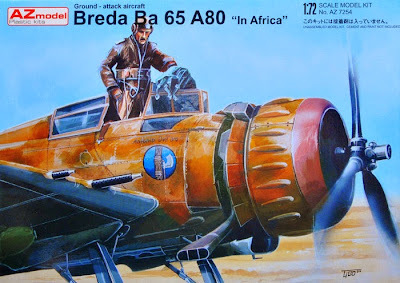 The Breda Ba.65 was an all-metal single-engine, low-wing monoplane used by Aviazione Legionaria during the Spanish Civil War and Regia Aeronautica in the first part of World War II. It was the only Italian ground-attack aircraft that saw active service in this role. 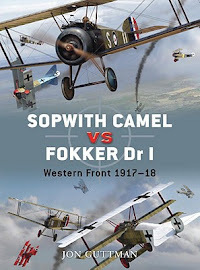 It saw service almost exclusively on the North African front. A total of 55 machines were exported and used by the air forces of Iraq, Chile and Portugal. 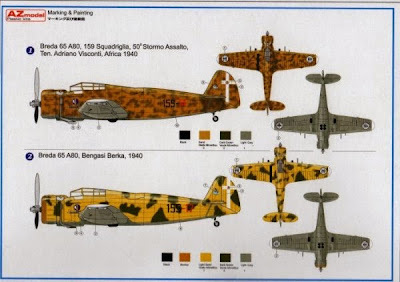 An evolution of Ba.64, the Ba.65 was designed by Antonio Parano and Giuseppe Panzeri. 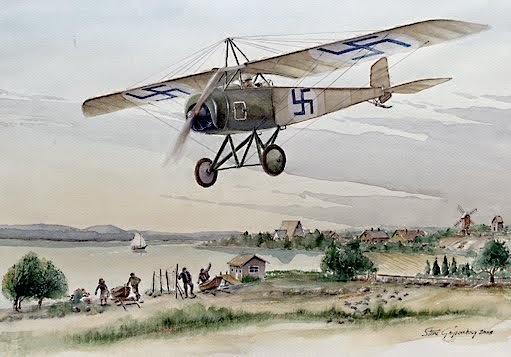 The Ba.65 was a single-seat, all-metal, low-wing cantilever monoplane with aft-retracting main undercarriage. 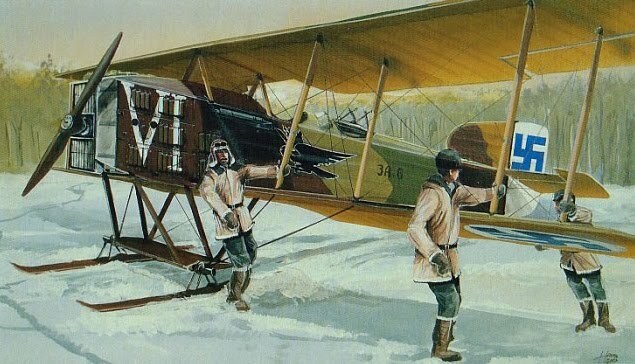 Like its predecessor, it was intended to undertake aeroplano di combattimento multiple roles as a fighter, attack and reconnaissance aircraft. 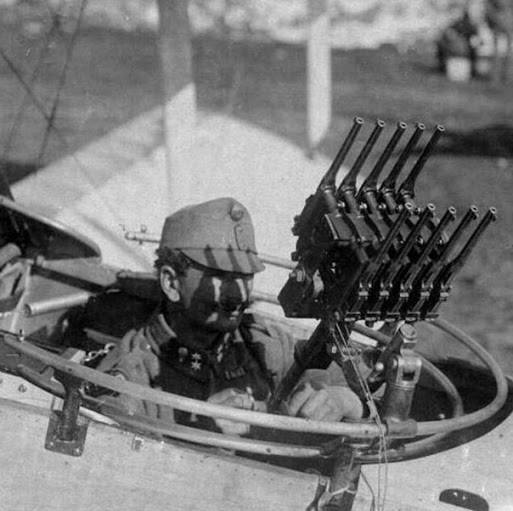 The Ba.65 carried wing-mounted armament of two 12.7 mm (0.5 in) and two 7.7 mm (0.303 in) Breda-SAFAT machine guns, with internal stowage for a 200 kg (440 lb) bombload in addition to external ordnance that could total 1,000 kg (2,200 lb). 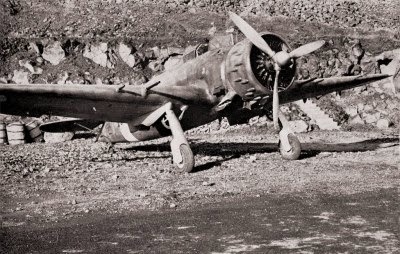 The prototype, which was first flown in September 1935, like the initial production aircraft, used the 522 kW (700 hp) Gnôme-Rhône K-14 radial engine produced under license by Isotta-Fraschini. 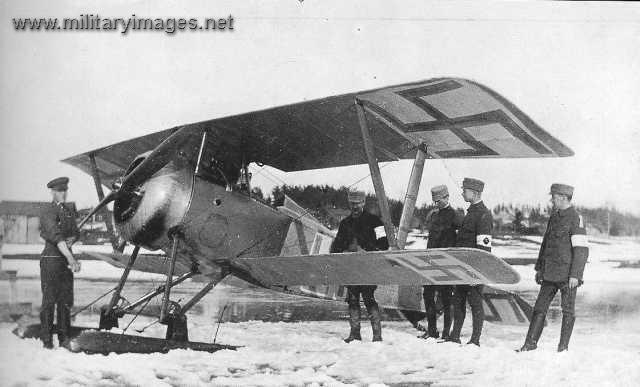 Starting from the 82nd aircraft, the more powerful Fiat A.80 RC.41 18-cylinder, twin-row radial with a takeoff rating of 746 kW (1,000 hp) engine was adopted. 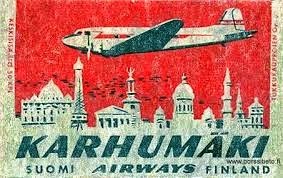 Production ceased in July 1939 after 218 aircraft were built by Breda and Caproni. 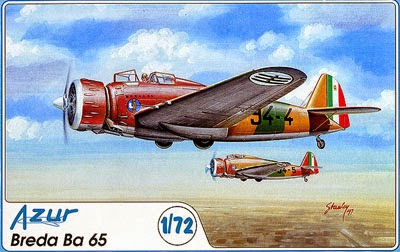 The Ba.65 debuted during the Spanish Civil War. Thirteen Series I aircraft, powered by the Gnôme-Rhône engine, equipped the 65a Squadriglia of the Aviazione Legionaria (Legionary Air Force). The unit took part in operations at Santander in August 1937, then at the Battles of Teruel and the Ebro. 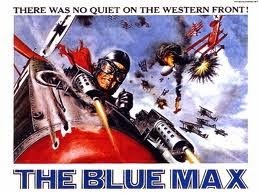 It proved effective and was compared positively with the German Junkers Ju 87 Stuka. 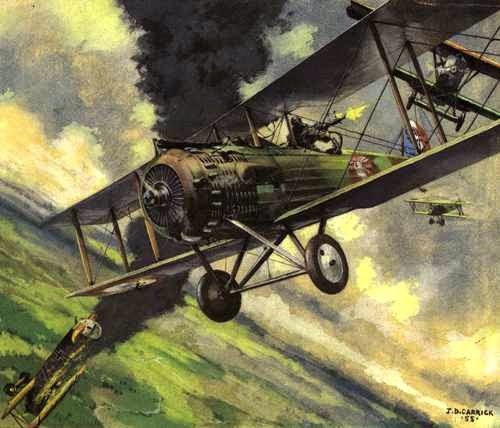 In a unique engagement, on 24 July 1936, one of the Legionary Air Force pilots scored an air-to-air victory when he encountered a lone twin-engine Tupolev SB-2 bomber over Soria and shot it down. Of the 23 Ba.65s sent to Spain, 12 had been lost in the course of the civil war. The Ba.65s flew 1,921 sorties, including 368 ground-strafing and 59 dive bombing attacks. When the Aviazione Legionaria returned to Italy in May 1939, they bequeathed their 11 surviving Ba.65s to the Spanish Air Force. 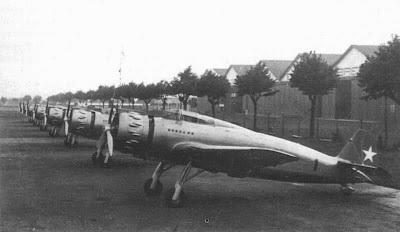 A total of 25 Fiat-powered Ba.65s two-seaters were sold to the Kingdom of Iraq in 1938. 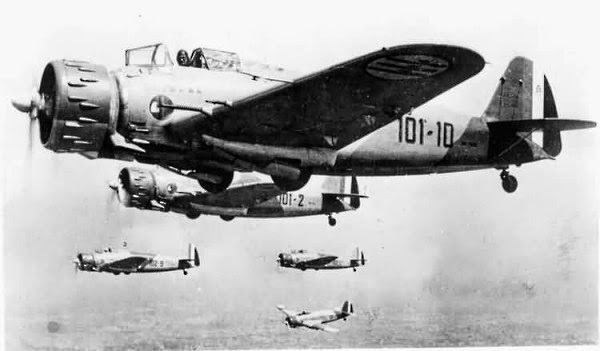 These consisted of 22 equipped with Breda L turrets and two dual control trainers. 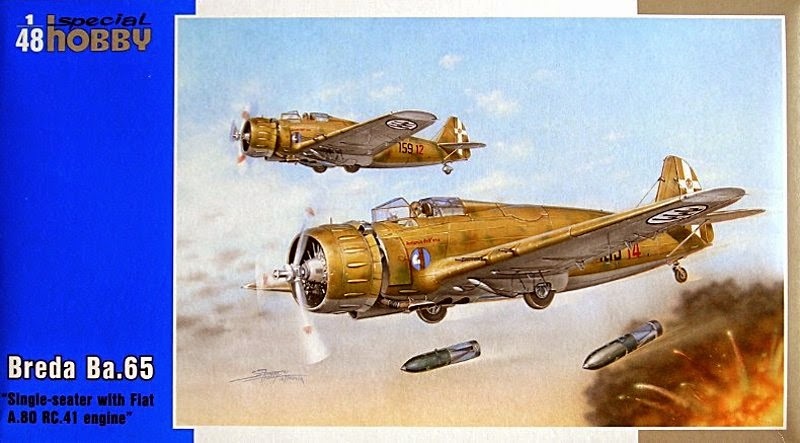 From 2–31 May 1941, the Royal Iraqi Air Force flew the Ba.65 during the Anglo-Iraqi War. War broke out after an Iraqi coup d'état installed a new government while maintaining the existing monarchy. 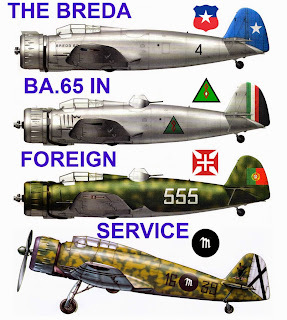 The Ba.65 was used against armed forces of the United Kingdom and the Commonwealth of Nations which the coup leaders were trying to expel from bases established after Iraq's independence under the Anglo-Iraqi Treaty of 1930 from the Nazis. 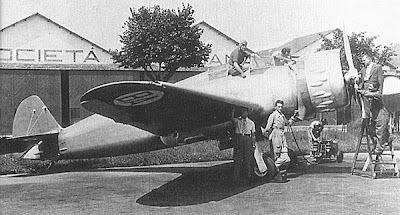 Chile bought 20 Ba.65 (17 single-seaters and three dual control trainers) powered by the Piaggio P.XI C.40 (also a 14K derivative), late in 1938. Portugal purchased 10 Breda equipped with Fiat engines and Breda L Turrets, in November 1939.